—California Mobile Kitchens, a local company that designs and manufactures practical mobile kitchens, recently announced the debut of their latest mobile kitchen model, featuring customizable stainless steel interiors and a new, 26-foot unit. California Mobile Kitchens provides organizations with modern, high-volume commercial kitchens for use anywhere in the U.S. Many of their units can be seen at sporting events, video production sets, or military bases throughout California and across the country. Backed by more than 25 years of experience in the industry, this local California company specializes in both short and long-term mobile kitchen leasing. Leasing mobile kitchens is a cost-effective and efficient way to accommodate the catering needs of any group, small or large. The company is contracted with the U.S. Government and has been their primary source for mobile kitchen services for many years. With the addition of the new mid-size units, announced earlier this year, California Mobile Kitchens has introduced and made this catering solution available to many more local organizations. 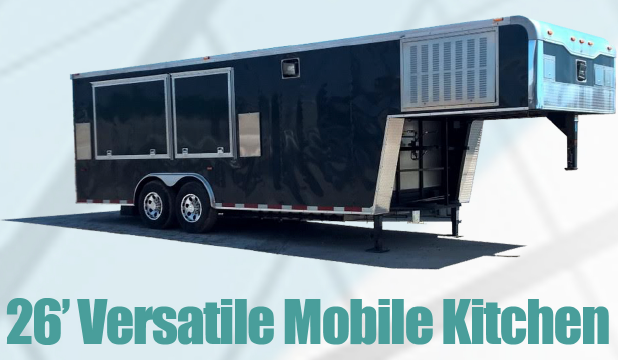 The new mid-size mobile kitchen model is designed specifically to be customizable to the needs of every customer. Many useful features have been added to the new units, including the addition of a stainless-steel 6-burner range system, hand sink, 7K Onan generator, and double basket deep fryer. Aesthetic and practical modifications have also been made to the service window, work counters, and customizable menu board. Dedication to excellent service is also a cornerstone of their business model. California Mobile Kitchens offers 24-hour customer service with all leasing agreements, ensuring any maintenance or repair problems are resolved quickly and any questions pertaining to the equipment can be answered instantly. The company also offers additional back-up generators, refrigeration trailers, and other necessary equipment for lease. California Mobile Kitchens can assist nearly any business or organization in need of temporary mobile solutions. 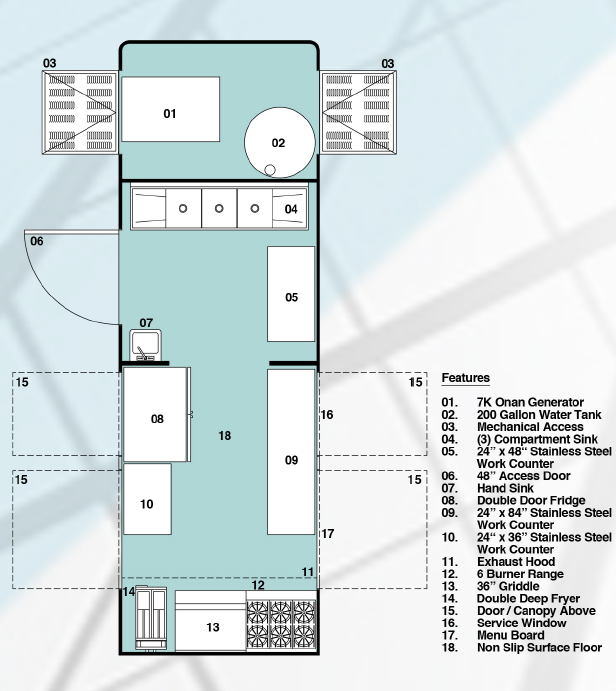 Companies can lease portable office trailers for special events or extended off-site projects, as well as portable showers, restroom facilities, and emergency response units. For more information on California Mobile Kitchens, please visit www.californiamobilekitchens.com or call toll-free at (877) 862-6189.